Should you be expecting to be in London for a city-break towards the end of November this year, did you know you’ll be in the UK capital at the time of Thanksgiving? A traditional American holiday that marks the time of the year when the country celebrates its founding centuries ago, it’s celebrated by the many US ex-pats and visitors in the London every year. But how and exactly where – and why should join them? Well, why not read on…? One for the purists this; for what’s better come Thanksgiving than to enjoy a slap-up roast and the ball game on TV? Well, if that appeals then you must head to Rileys Haymarket for this triple bonanza blockbuster. Yes, in addition to laying on a Thanksgiving feast of turkey and pumpkin pie they’re also showing all three of the NFL games being played on Thanksgiving Day itself, so you can make your choice of which of them to sit down to and view. One of London’s premier US-themed attractions, Mayfair’s Hard Rock Café is unsurprisingly holding a shindig too this year. What’s on the menu here? Why, in addition to the traditional turkey and pumpkin pie, live music and a fantastic ambience, of course. Ideally located should you be thinking of staying right in the centre of things at the likes of the Shaftesbury Hyde Park International London. Another option for dining in an old-fashioned Thanksgiving fashion is to pop along to Boondocks in Hoxton where you can expect a supersized spread of turkey, mashed potatoes, and green bean casserole, followed an awesome afters of buttermilk biscuits and pumpkin cheesecake. All that and irresistible backing of funk, soul and pop tunes as a backing to your evening. Who could ask for more? Alternatively, if you fancy something a little more alcoholically-fuelled for your Thanksgiving celebrations, this bourbon-focused night out may be just the ticket – so why not head Fulham-way for some top notch food that the Founding Fathers would approve, paired with some perfect whisky? Who could ask for anything more? Well, if you’re after something a little different this Thanksgiving, then how about hopping on the Tube to St. Paul’s to its Thanksgiving Day Service? The thing’s been taking place for more than 50 years now and, in fact, this – the ‘People’s Church of London’ – has a long relationship with Americans in the capital. Indeed, following the Second World War, Britons raised money to build the American Memorial Chapel in the cathedral in place of its ‘east end’, which was damaged during The Blitz – it was dedicated to The Queen in 1958. 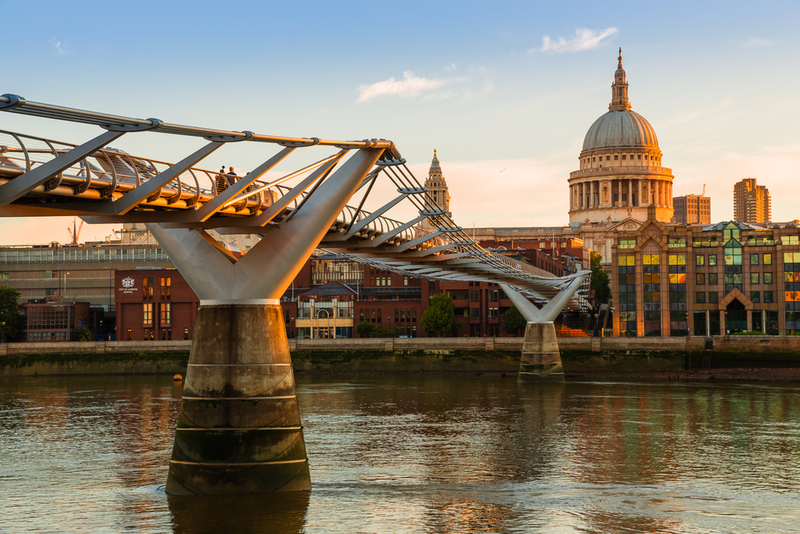 If you’re planning to take advantage of London hotels special offers – and so do your short-break on something of a budget – then you may well be further attracted by the fact that attendance to the service is entirely free and unticketed. You are requested to arrive no later than 10.30am, however, and to bring along with you no more than minimal baggage owing to necessary security checks. This entry was posted in London Visit and tagged London hotels special offers, Shaftesbury Hyde Park International London, Thanksgiving in London. Bookmark the permalink.